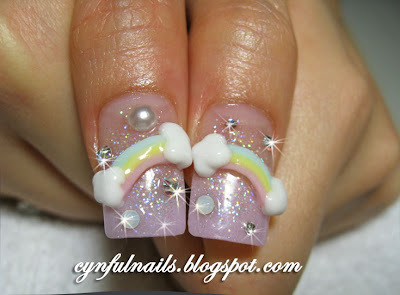 Rainbows and fluffy clouds on a 2 tone pink glitter base. 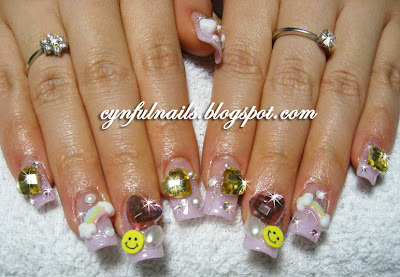 Totally cute and lovely! ♥ it!